File photo of STX Finland's Rauma shipyard. Photo - Lehtikuva. The Finnish city of Rauma has reached a deal with the Korean shipbuilding company STX to purchase a shipyard located in the city, the municipality announced on Wednesday. The city board sighed an agreement to purchase the shipyard, including land, buildings and other properties, from STX Finland Company for 18.1 million euros (24.5 million U.S. dollars). After the deal is closed, the city of Rauma is set to establish an industrial park on the dockyard property. The park is expected to host companies operating in the marine industry, creating hundreds of new jobs. The British marine engine manufacturer Rolls Royce has expressed its intention to expand its Rauma operations to the dockyard site. Rolls Royce alone could create up to 100 new jobs by the end of the decade. Kari Koski, the mayor of Rauma, said he was satisfied with the deal. "With the acquisition of the dock area, our city will be able to create a strong competitive industrial park environment and safeguard the growing maritime industry, and thus exert a positive effect on employment," said the mayor. 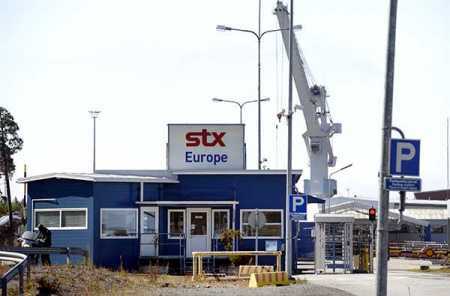 Rauma and STX agreed that the latter would continue to recruit subcontractors from the industrial park for its shipbuilding operations at the Turku shipyard. In addition, STX Finland will remain as a tenant of part of the property until the end of June to complete two ongoing shipbuilding orders. Last September, STX Finland decided to close the shipyard in Rauma, in southwestern Finland, leaving about 600 workers jobless.